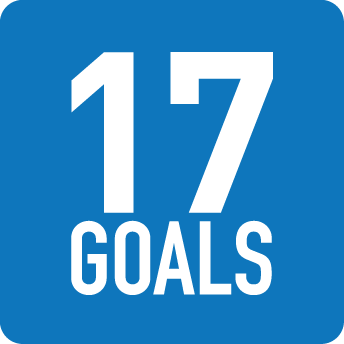 Systems thinking, the ability to see and understand key linkages and cause-effect relationships, is vital to our fulfillment of the 17 Goals. Here is a stockpile of resources for those looking to delve deep into systems thinking— whether you’re a newcomer to the concept or looking to refine your understanding. They are organized by Books and Publications, and Websites — several of which include downloadable systems modeling tools. Booth Sweeney, L and Meadows, D L 1995 – 2001, The Systems Thinking Playbook Vols. 1 – 3, Durham, NH. Available via Pegasus Communications — Dozens of games for teaching systems principles, very useful as a way to engage people on sustainable development. Ford, A 1999. Modeling the Environment, Island Press, Washington, DC. – A good introduction (college-level textbook) to system dynamics modeling as applied to the environment. Gladwell, Malcolm 2002, The Tipping Point, Back Bay Books, Boston, MA. – How new ideas spread through social systems like viruses, from person to person, until they reach “critical mass”. Not explicitly about sustainability or systems, but a classic (and easy to read) book for understanding basic social change dynamics. Mella, Piero. 2007, Systems Thinking: Intelligence in Action. Springer Press. Schwartz, P 1996, The Art of the Long View: Planning for the Future in an Uncertain World, John Wiley & Sons, Chichester. Senge, P 1994, The Fifth Discipline, Random House, NY. — A classic introduction to organizational learning and systems thinking archetypes, which many apply in a sustainable development context. Sterman, J 2000, Business Dynamics, McGraw – Hill, London. — The definitive textbook on the subject of systems thinking in business, by one of the giants in the field, Professor John Sterman of MIT. Includes the best material on advanced causal loop diagramming. Sweeney, L B 2000. When a Butterfly Sneezes. Pegasus Communications, Waltham, MA.– Children’s stories on systems thinking that also throw light on various sustainability issues. Vennix , J A M 1996. Group Model Building: Facilitating Team Learning Using System Dynamics, John Wiley & Sons, Chichester. https://insightmaker.com — a powerful web-based systems thinking tool called Insight Maker that allows for multi-user modeling and simulation. www.watersfoundation.org —The Systems Thinking and Dynamic Modeling (ST/DM) site provides educators with background information, examples, and guidance in the use of systems thinking and dynamic modeling in K-12 education.